Ever wanted to manage a football team and take them to the very top level of the game? Who hasn’t? Well, GoalUnited promises players the chance to do exactly that. 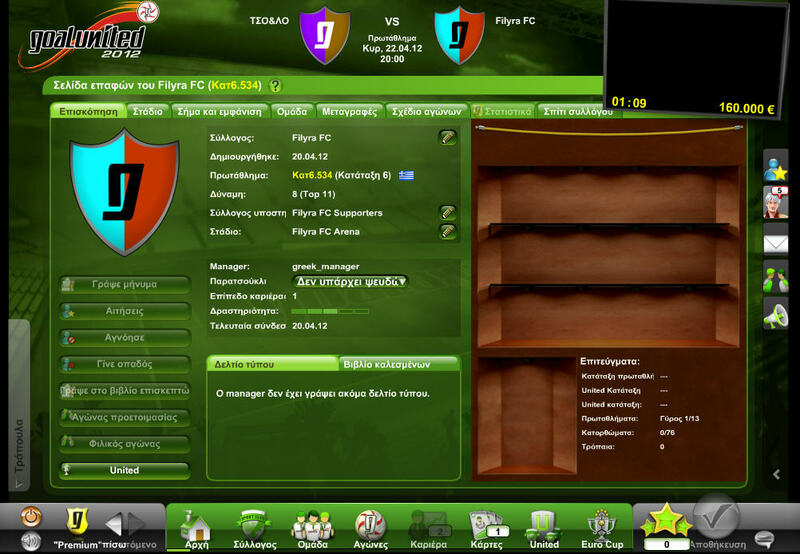 The free to play MMO developed by Northworks GmbH and published by TravianGames GmbH puts players in full control of a football club. It is here that you will have to manage everything to do with your club. You will have to buy and sell players, upgrade the stadium, pick up sponsors, keep your finances in check and of course play competitive matches. Once you have given a name to your team you are put in as the role of manager and will have to quickly set about sorting out your team and formation, hiring the staff you need to assist you, setting a training schedule and securing your first sponsorship deal for your club. Your staff is vitally important and you will have to employ the likes of a team doctor, coaches, financial consultants and even a public relations manager. These all have a role to play in the potential success of your club. You will start in the lower leagues along with other players in your region and the idea is to develop your team to such a level that you finish as one of the top teams in your league. There are ten teams in total in each league and when in the lower leagues you will have to finish within the top three to earn automatic promotion. You start out with 19 players in total and will have to pick the best ones for your team before deciding which ones to sell and replace. 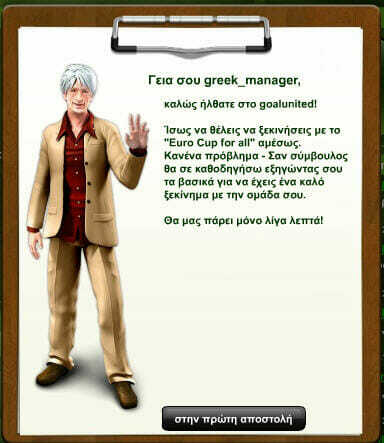 Each player will have the usual stats but they will also have special skills attached to a selection of them too. These players will have to be trained on a daily basis, which you can do by preplanning three days in advance which type of planning you want them to undertake. Next you will have to select the formation that best suits your team. 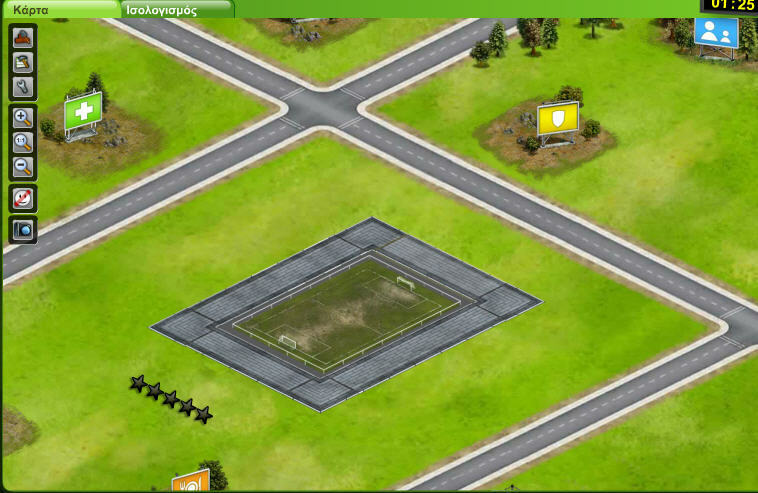 You can even select a number of different formations to play against certain types of teams. Sponsorship is hugely important for your team as it brings in revenue that you can use to improve your staff, playing staff and of course the stadium. Sponsors will come forward with an interest in backing your team and you can negotiate with them to get yourself a better deal. Your stadium is also a massive part of your income as it will bring in monet from ticket prices, merchandise, parking and from food stalls. You have to work hard to maintain and improve your stadium to ensure that this income increases over time. The game is hugely enjoyable to play despite being quite a long grind and is definitely one of the better football management simulations on the free to play market. 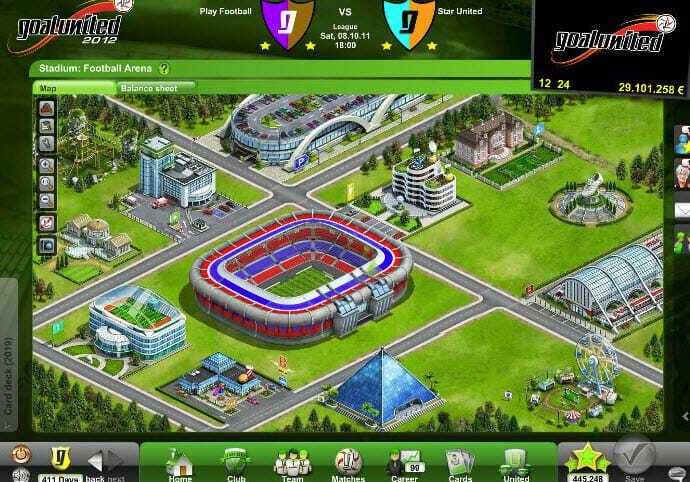 You usually play two or three matches a week and even more if you challenge players to friendly matches. The game does offer up premium account options which can give you the ability to do things such as put together a full weekly training schedule, allow you to customize your team’s kit and logo and give you a far better search function for finding players to purchase. If you love football and are looking for a free to play management game, then this is certainly one of the best out there. It does not compete with some of the off the shelf management games but is definitely worth taking a few minutes a day to check on your team.